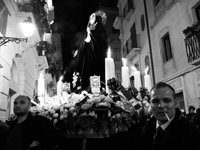 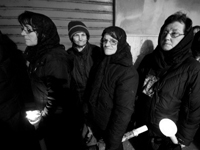 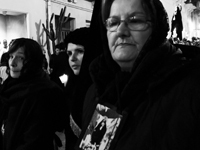 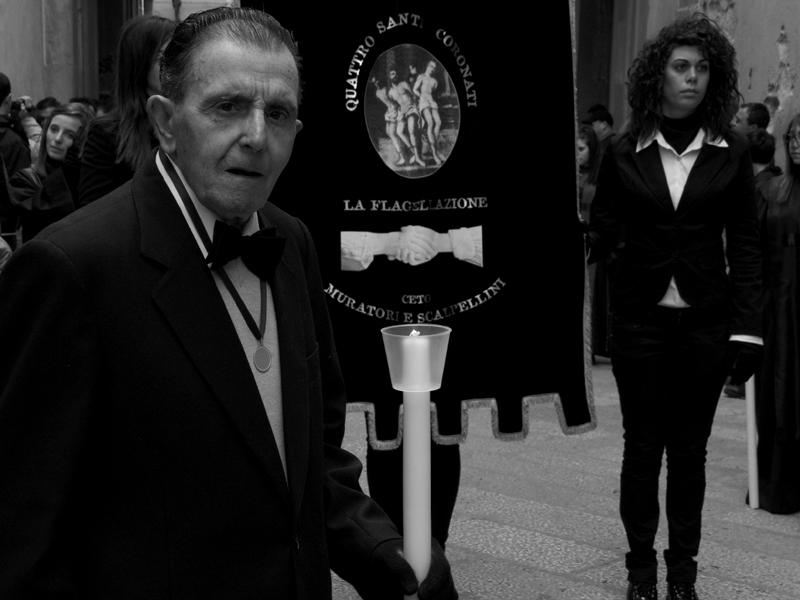 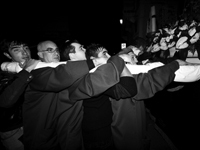 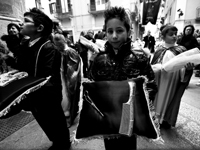 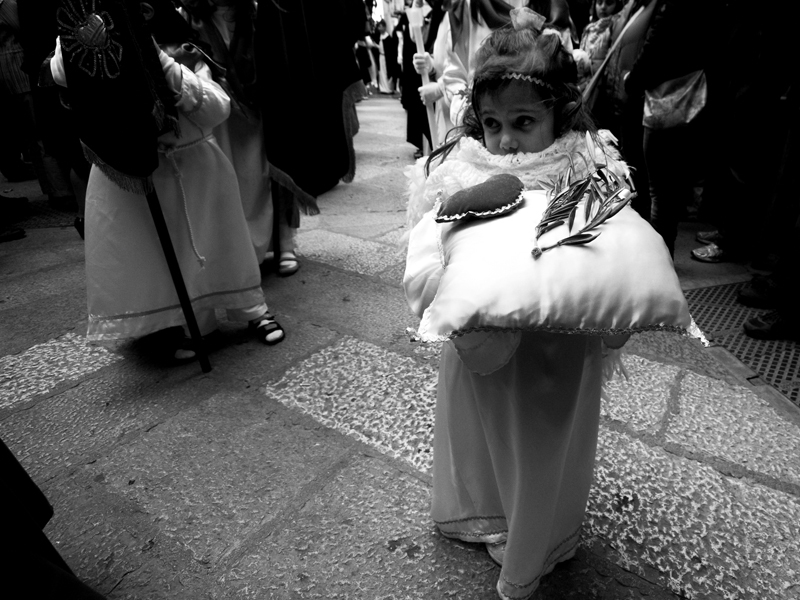 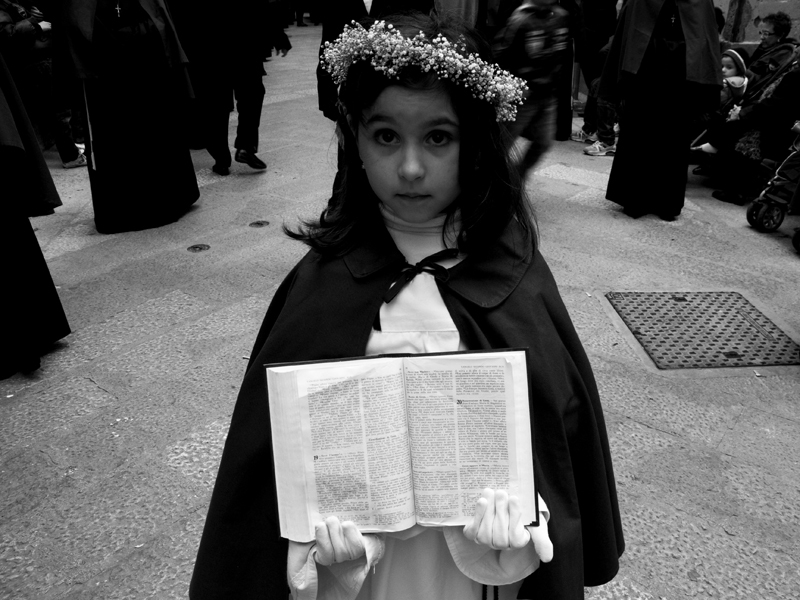 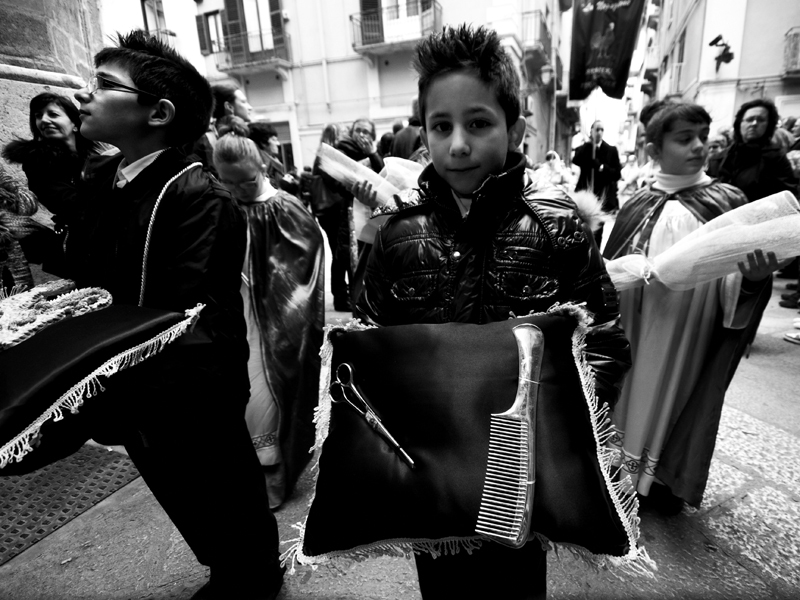 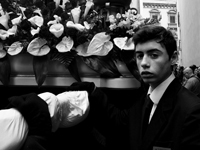 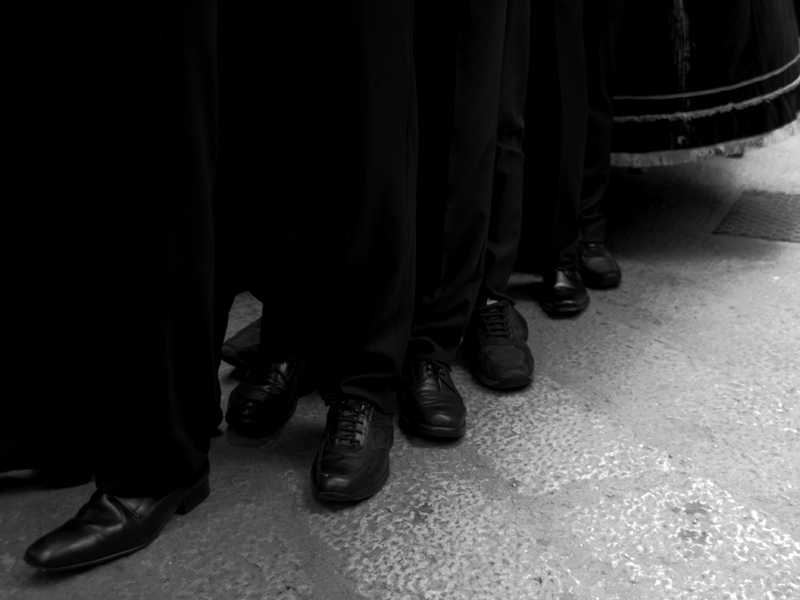 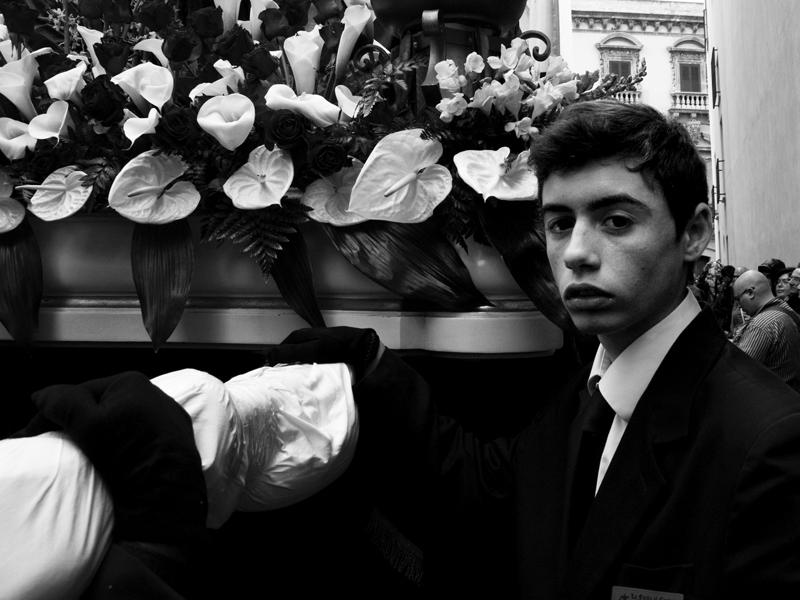 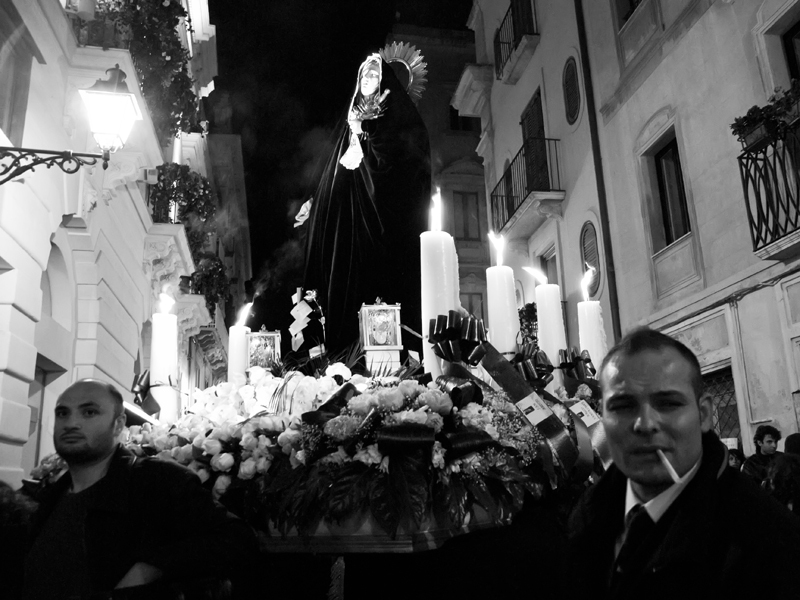 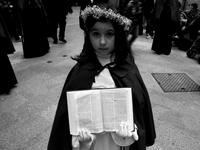 Every Good Friday in Trapani, Italy an annual festival is held to mark the Procession of the Mysteries. 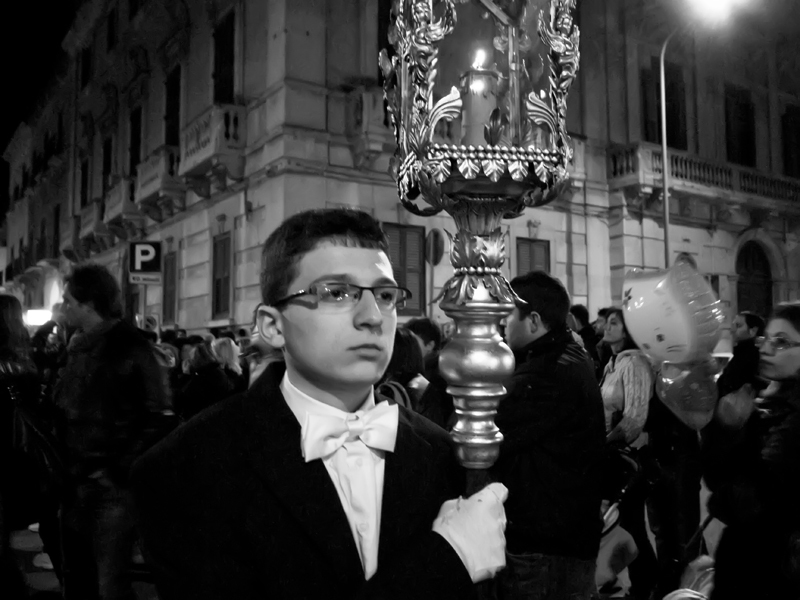 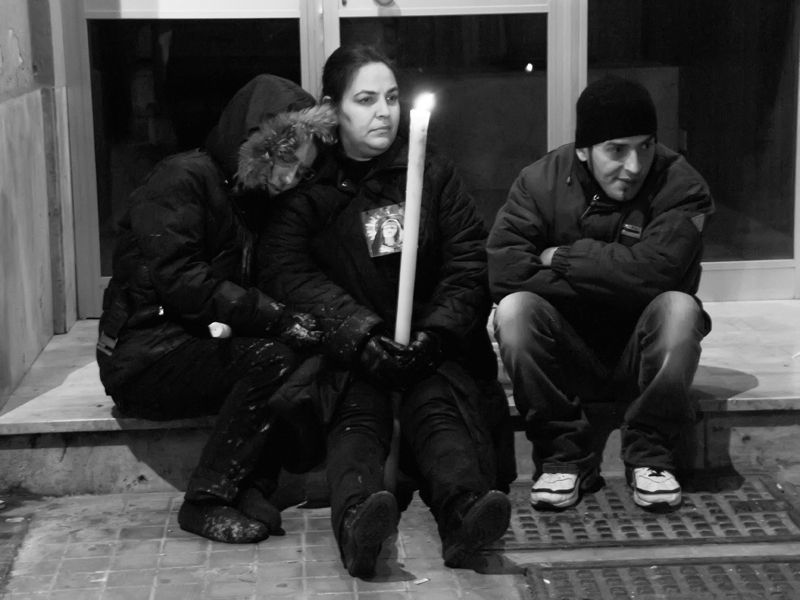 It is a Christian event that symbolises the death of Jesus Christ. The celebrations start at noon from the eighteenth-century baroque church of the Holy Souls in Purgatory. 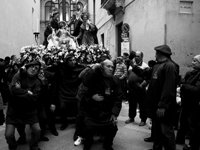 Thousands of people pack the narrow streets of Trapani. 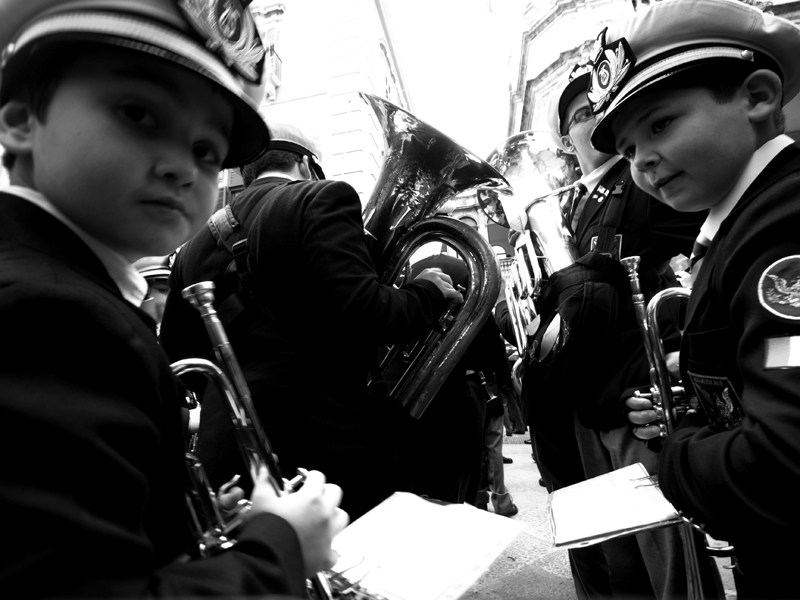 The inner city is closed to traffic. 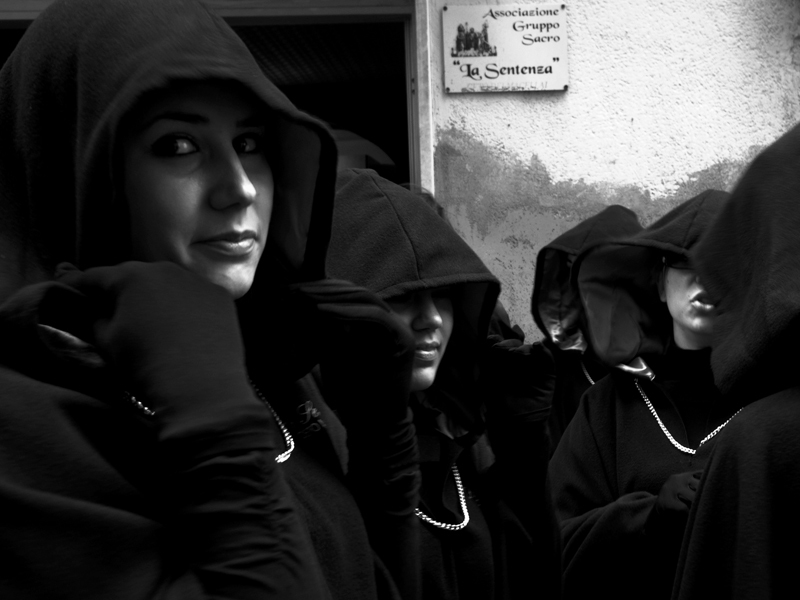 The procession of the Mysteries takes almost 24 hours, until Saturday. 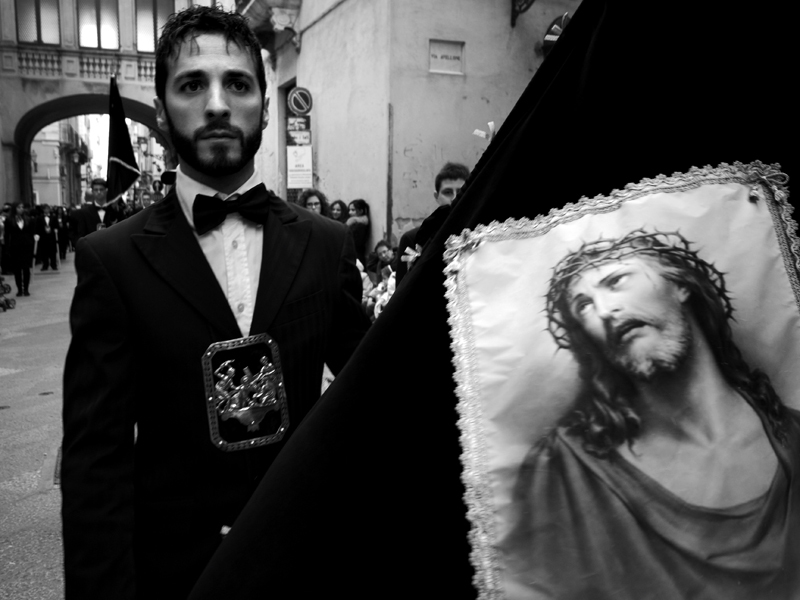 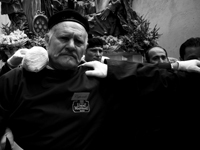 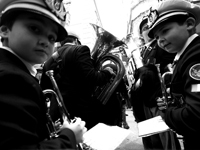 It 's the longest Italian religious festival and among the oldest. 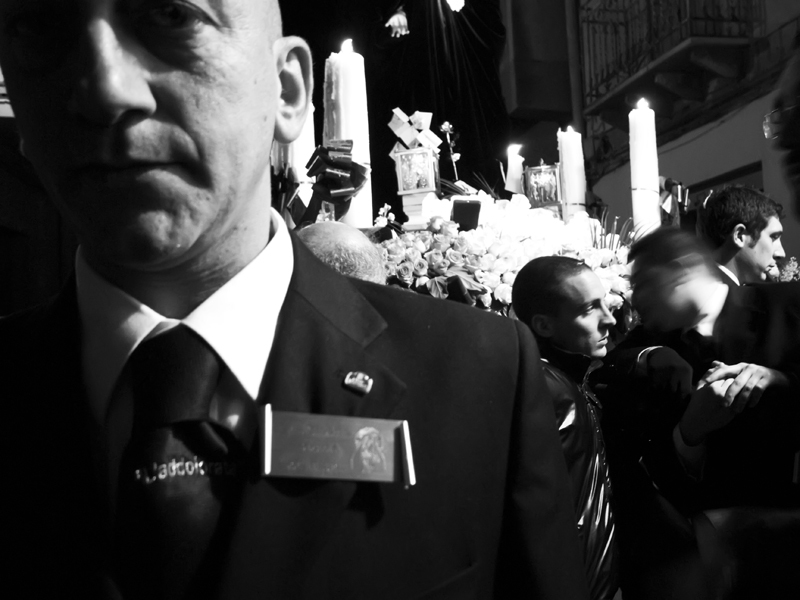 Lights, sounds, colors and emotions surround the supplicants. 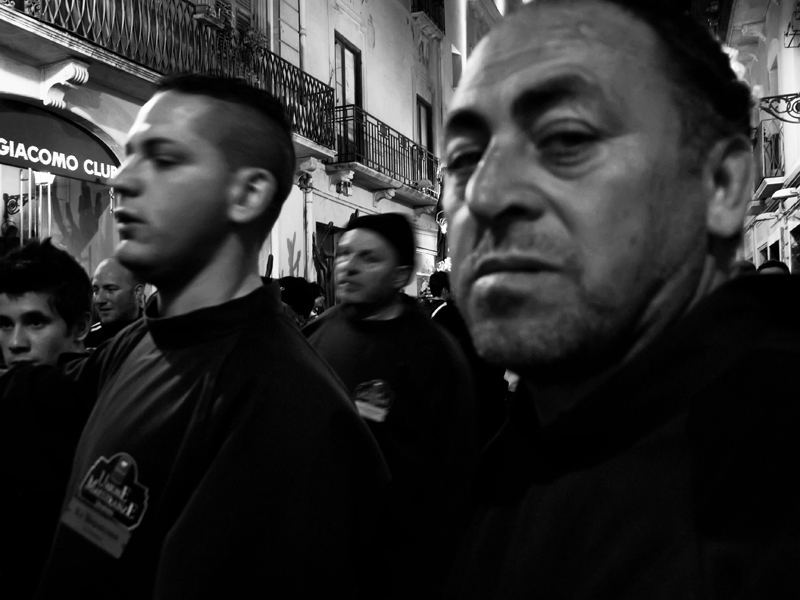 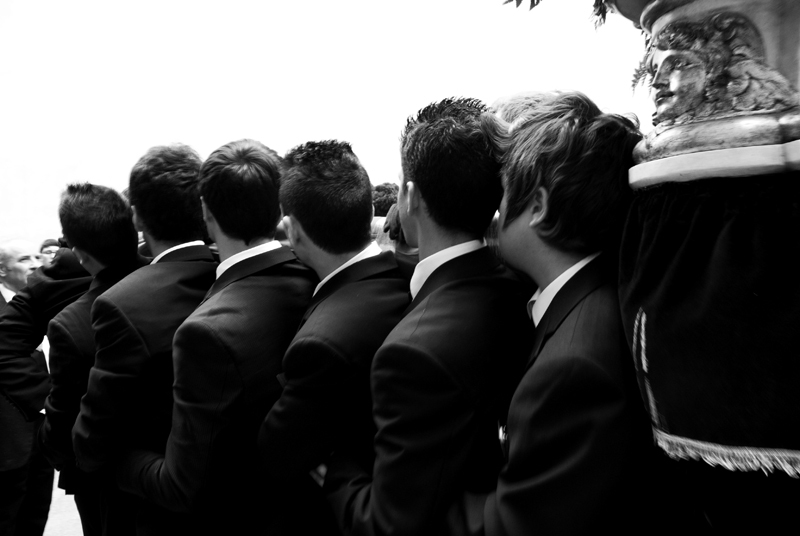 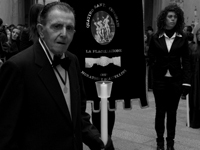 It is a tradition of Spanish origin that is almost 400 years old. 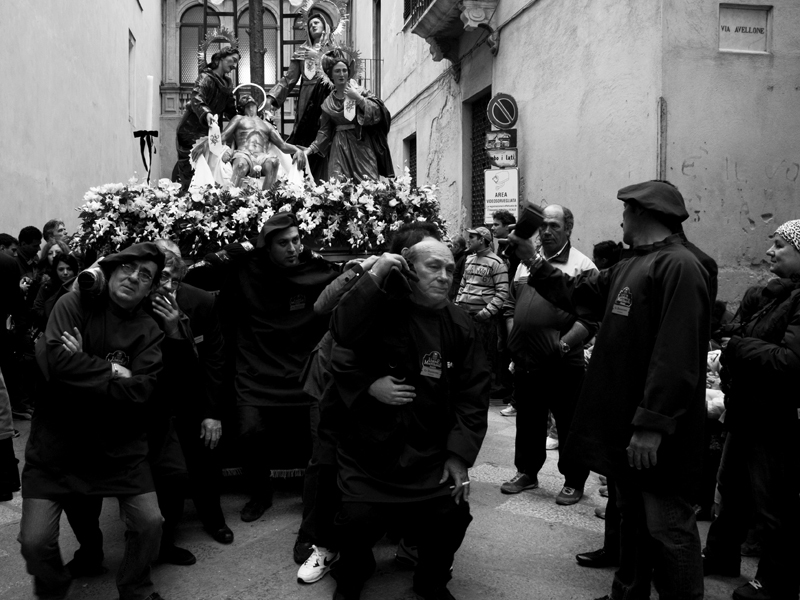 The "Mysteries" are 20 artistic representations of the Passion and Death of Christ, exactly eighteen groups, plus the two statues of Jesus and the Dead Lady of Sorrows. 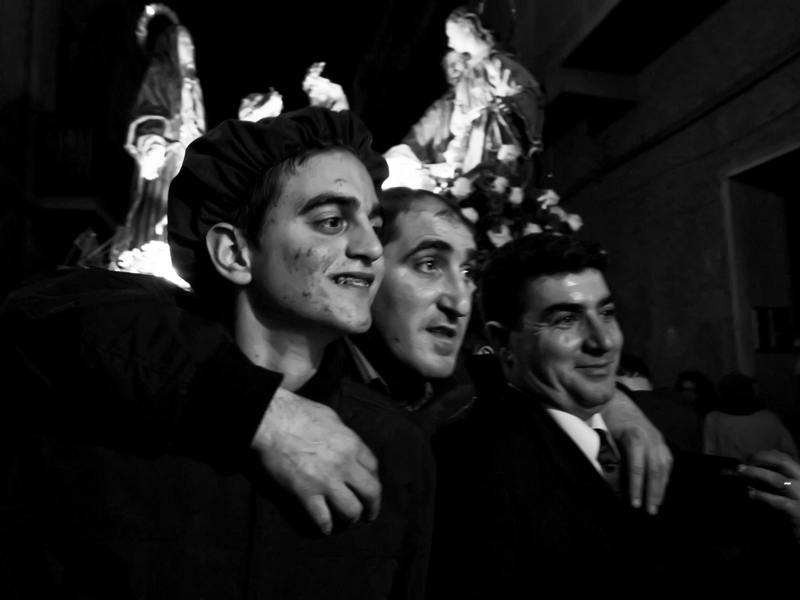 The 20 processions have names that are inspired by the passion of Christ such as ?The Washing of the Feet by the class of Fishermen, Ecce Homo by the class of the Cobblers, Our Lady of Sorrows by the class of waiters and bartenders, Jesus in the Garden of Gethsemane by the class of greengrocer, The Arrest by the class of metallurgists, Drop the Kidron by the class of the sailors, Hanna by Jesus by the class of the store keepers, Denial by the class of barbers and hairdressers, Jesus before Herod by the class of fishmongers are the most represented.